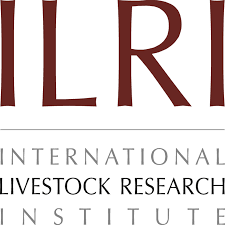 // The Position : The International Livestock Research Institute (ILRI) seeks to recruit an Electrical Technician who will be a member of Engineering & Maintenance Facilities Management team under Administration in Addis Ababa, Ethiopia. General: The International Livestock Research Institute (ILRI) works to improve food and nutritional security and reduce poverty in developing countries through research for efficient, safe and sustainable use of livestock. It is the only one of 15 CGIAR research centers dedicated entirely to animal agriculture research for the developing world. Co-hosted by Kenya and Ethiopia, it has regional or country offices and projects in East, South and Southeast Asia as well as Central, East, Southern and West Africa. www.ilri.org. Job Purpose: The purpose of the Electrical Technician is to provide electrical service. Main Duties and Responsibilities: Installs and repairs electrical lines on buildings. Assigns and supervises work assigned to the electricians. Advices users how to operate certain type of electrical machine or equipment. Carries out electrical repairs in Hostels, Cafeteria, Laundry, Offices, Laboratories and Staff Houses Installs Computer and Network lines as necessary Checks and approves locally available parts as required Draws and designs plan to install electrical line in the absence of electrical diagram or design Installs and operates stand by generator and schedules and follows up service time Repairs all heavy-duty Kitchen equipment and installs and maintains cold room unit Performs any other related duties when assigned by Supervisor Academic and professional qualifications: Education: Bachelor’s degree in Electricity, Electromechanical & Electronics from a recognized university/college plus technical training Experience: At least 3 years of relevant work experience Skills: Qualified Certification of Competence COC certification Grade C and above installation license from the Ethiopian Electrical Power Corporation Professional electrical engineering design and installation license from Ministry of Urban and Development Knowledge of all applicable codes, standards and regulations Skill in installation, repair and maintenance of all systems and assignments common to the trade Skill in estimating time and material requirements for work projects Ability to work cooperatively with other trades Time management skills Computer skills including the ability to use word processing Be flexible and demonstrate sound work ethics Be respectful Duty Station: Addis Ababa Grade: 2B Minimum Base Salary: Birr 13,215 (Negotiable, depending on history of the candidate) Terms of appointment: This is a Nationally Recruited Staff (NRS) position, initial appointment is for three years with the possibility of renewal, contingent upon individual performance and the availability of funding. The ILRI remuneration package for nationally recruited staff in Ethiopia includes very competitive salary and benefits such as life and medical insurance, offshore pension plan, etc. Applications: Applicants should provide a cover letter and curriculum vitae; names and addresses (including telephone and email) of three referees who are knowledgeable about the candidate’s professional qualifications and work experience to be included in the curriculum vitae. The position and reference number: REF: ET/14/2019 should be clearly indicated in the subject line of the cover letter. All applications to be submitted online on our recruitment portal: http://ilri.simplicant.com/ on or before 26 April 2019. To find out more about ILRI visit our website at http://www.ilri.org Suitably qualified women are particularly encouraged to apply. // Maintenance Assistant UNOPS ORGANIZATIONAL CONTEXT The Maintenance Assistant, being under a supervision of Admin/finance Officer, is responsible to assist all maintenance activities related to generators, electric lines, air conditioners and related equipment’s of the six offices and three guest house compounds under sub-office Assosa. S/he liaises closely with admin staff and head of field units to ensure timely installation and maintenance of all the aforementioned equipment’s for their smooth functioning. The incumbent also provides technical supports to the Assistant site planning Officer through supervision of construction activities in the camps; provision of support and advice as required to resolve technical and construction problems; monitoring the workmanship and Perform field quality control observations and assessments and recommendations for repair works. ACCOUNTABILITY UNHCR's Maintenance Standard Operating Procedures (SOPs) are implemented in accordance with relevant UNHCR standards and policies. RESPONSIBILITY Perform installation of all types of generators, Air conditioners and related electrical equipment’s in all the six offices and three guest house compounds. Inspect and ensure that all electrical equipment’s and power generators are functioning well. Initiate purchase requests for procurement of parts and lubricants. Maintain accurate and up-to date records and data related to ins and outs of accessories and consumables. Identify generators with specific maintenance need and ensure timely arrangement for back-ups for un-interrupted power supply. Ensure regular inspection of generators and. Manage construction activities in the camps so that the schedule is respected, cost remains within budgetary limits and the quality of the work meets standards. Prepare project cost estimations and proposals for use in selecting vendors or subcontractors Prepare tender documentations including BOQs, SOWs and subsequent analysis of bid Monitoring and quality control of project and keep a record of construction documents Provide support and advice as required to resolve technical and construction problems Monitor the workmanship and Perform field quality control observations and assessments Processes the application for Payment; review schedules, costs, and change orders Provide recommendations for repair work and make sure that deadlines are complied. Perform other related duties as required. ESSENTIAL MINIMUM QUALIFICATIONS AND EXPERIENCE Completion of Secondary education or equivalent technical school with certificate/training in electricity/Electrical installation/Construction and other related fields. Minimum 4 years of job experience relevant to the function; Computer skills (MS office, AUTOCAD and People Soft applications). Fluency in English and working knowledge of another relevant UN language or local language (as applicable in the duty station). In offices where the working language is not English, excellent knowledge of working language of duty station and working knowledge of English. DESIRABLE QUALIFICATIONS & COMPETENCIES Knowledge in UNHCR Admin and supply rules, procedures and processes; Knowledge of another relevant UN or local languages. Managerial and Cross Functional Competencies Managing Resources Analytical Thinking Planning and Organizing SUBMISSION OF APPLICATIONS This vacancy is open for qualified Ethiopians and Non-Ethiopians with a valid work permit from Federal Democratic Republic of Ethiopia, Ministry of Labour and Social Affairs . Female candidates are encouraged to apply. UNHCR is committed to diversity and inclusion within its workforce, and encourages all candidates, irrespective of gender, nationality, religious and ethnic backgrounds, including persons living with disabilities, to apply to become a part of the organization. IMPORTANT Applicants who wish to be considered for this position should send a motivation letter and the most recent fact sheets through the online application system. Candidates will be required to sit for a test. Due to the volume of applications only short listed candidates will be invited for interview. Former UNHCR General Service staff members, having held an Indefinite or FTA appointment for an uninterrupted period of at least one year may apply for internally advertised vacancies at their previous grade or equivalent or one grade above, if the seniority requirements are met, for a period of two years following separation. REFUGEES – WHO CARES? WE DO. // Ethiopian Airlines would like to invite qualified candidates for the following position. Job Title: - GSE/GTV Painter Required Qualification: 12 th grade complete (per old curriculum) or 10 th grade complete (per new curriculum) with three years and above work experience as auto body mechanic & painter. Employment Type : Contract Based (For One Year) Registration Date: From April 08, 2019- April 12, 2019 Registration Place: Ethiopian Airlines Head Quarter, HR Building (Recruitment and Placement Office) Age Limit ; 20 - 39 Years Interested applicants must bring/attach all original and copy of their supporting documents, including 6th /8th Grade Ministry Card/birth certificate from Kebele and one passport size picture when they come for registration on the appropriate dates stated above. 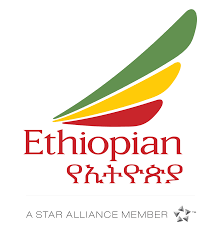 If anyone found to apply or join Ethiopian with false information will lead to subsequent termination from the process or employment upon discovery of the face. // Position : Assistant Upholstery & Interior Mechanic Job Qualification: A minimum of College Diploma/ 10+3/ Level III Certificate in General Mechanic /Automotive Body/Automotive Engine Repair / automotive Electricity Electronics / Industrial Metal Fabrication and Assembly/ General Mechanics/ Metal Work/ Metal Technology/ Metal Fabrication/ Agro Mechanics/Construction Technology/ Wood Work Technology/ Automotive Technology/Auto Mechanics or any related filed of study per the new / old curriculum from a recognized TVET/ College/ Institute and a minimum of one year relevant experience in known organization. 2nd grade or Automotive driving license is advantageous. Registration Date: April 03, 2019 - April 09, 2019. NB: Age Limit (18-35 years) Registration Place: Ethiopian Airlines Group, Recruitment & Placement Office situated inside the premises of Ethiopian Airlines Group headquarters. Interested applicants must bring all original and copy of their supporting documents, including 6th /8th Grade Ministry Card and Kebele ID with copy & one passport size photograph when they come for registration on the dates stated above. // Job Location: Adama, Addis Ababa, Harar Jimma, Hawassa Job Requirement MPH/MSC/MA/BSc/BA in Demography, Public Health, Statistics, Health Informatics, Mathematices 5 Years for MPH/MSc/MA, 7 years for BSc/BA after graduation, shall posses extensive experience in Measurement Evaluation position in an NGO He/she must have led a team or participate as a team member in monitoring and evaluating SRH donor funded projects ; High analystical skill and data demand and use skill; How To Apply Interested applicants should send no-returnable applications with CV and copies of credentials and other supporting documents with in 10 calendar days of this announcement to the following address: Attention: Those applicants should specify to which work place they are Appling Family Guidance Association of Ethiopia Human Resource , Admin & GS Division P.O. Box: 5716 Addis Ababa Or: Apply through ethiojobs.net Family Guidance Association of Ethiopia is an equal opportunity employer and female applicants are highly encouraged to apply.